There’s nothing that says “Oh look at me, I’m rich!” than having a bunch of Greek sculptures adorning your living space. 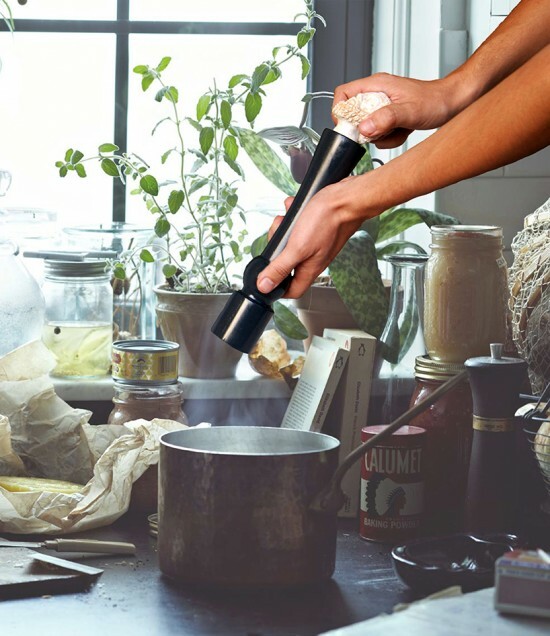 However, for those who aren’t particularly fond of blowing away the big bucks and still wish to own a piece of ancient Greek art, here’s what’s up for the picking, salt and pepper grinders modeled to look like those museum-type sculptures! 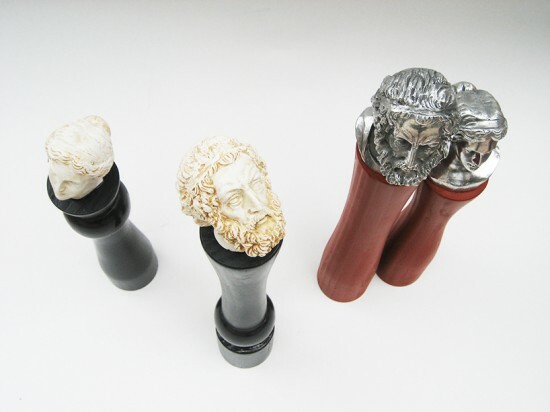 By Greek designer Panos Velentzas, these salt and pepper grinders sport tiny heads of ancient Greek gods and goddesses attached to them. 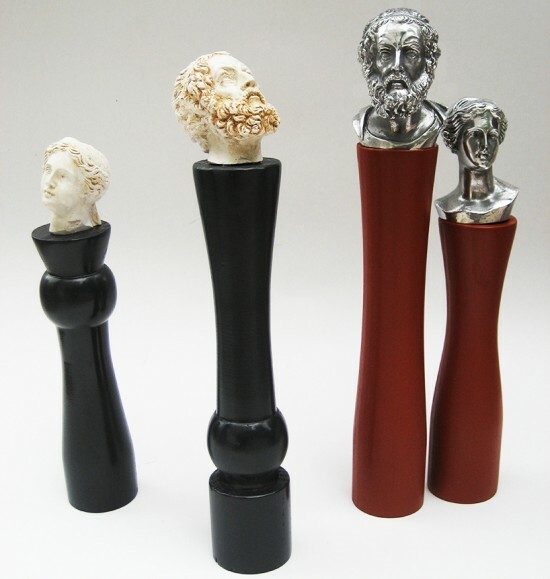 Made for the Benaki Museum in Athens, these grinders pay tribute to ancient Greek art and an era when people loved adorning their homes with sculptures of gods. 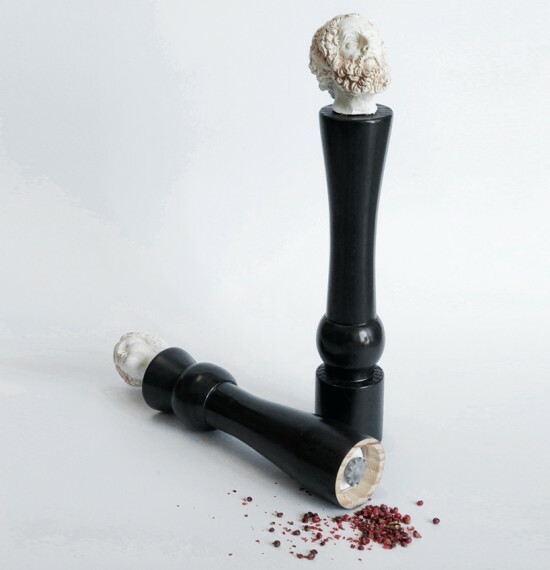 These scaled down recreations of ancient sculptures by Panos Velentzas promise to keep your dinner table well decorated and your food well seasoned.